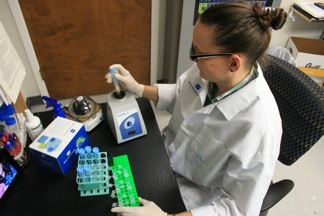 Jessica Zabloski, Research Associate at Bioo Scientific Corp. tells us about making ELISA kits. I develop ELISAs for food and feed and life science products. What are some techniques and instruments that you commonly use? In a normal week of work I will perform several different experiments and duties based on what is happening in R&D. I develop E.L.I.S.A. kits for specific customers or based on market demand. I am also responsible for manufacturing and production of 30-40 different kits already on the market. On any given day I come in and take out all my components for the day’s experiments to bring them to room temperature. I look at the day’s list and what needs to ship, or be QC’d. Customer shipments take highest priority in my day. Customer orders are the most important. Next, if there are no shipments, then I plan my R&D E.L.I.S.A. experiments. To do these, I need to find the right combination of antibody and conjugate to produce a signal or test the stability of an E.L.I.S.A. component. If none of these experiments are required, I work on sample preparation and extractions for E.L.I.S.A.s. 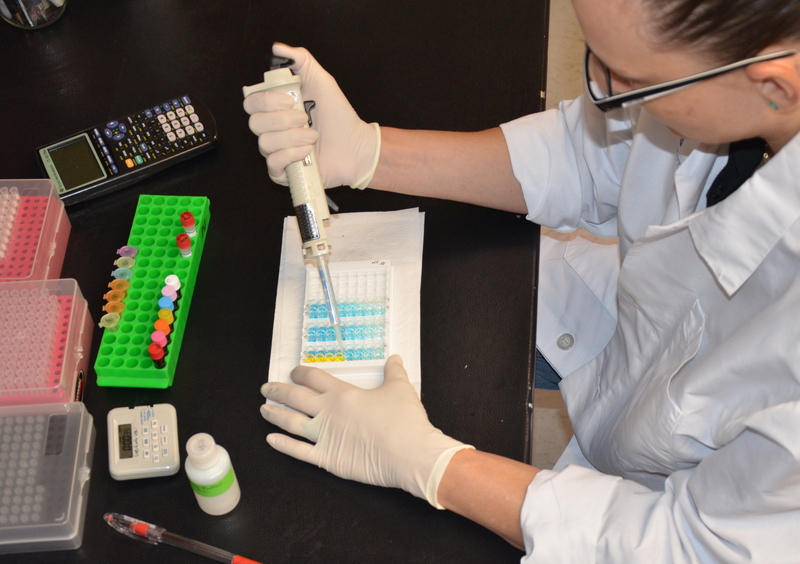 At the end of each day I document the day’s experiments, analyze them or research new chemicals and antibody information for development.